Since 1914, Blackburn and Davis, Inc. has made it their mission to conduct business to construct, erect, install, repair, modify, and alter plumbing in buildings, residences, and factories. Most of their work deals with residential and light commercial properties. They service and repair all makes and models of heating and cooling systems and are a York authorized dealer. 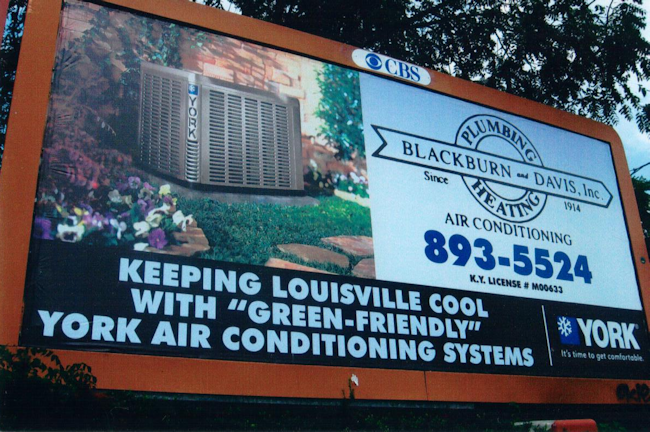 For over 100 years, this family-owned and operated business has been proud to serve the city of Louisville, KY by creating personalized service for each customer. Blackburn and Davis strive to keep the same technicians in the business who are proud to offer professional services at a fair price, so it is no wonder most of their customers are repeat customers. Too Hot? Too Cold? Leaky Pipe? We’ve got you covered with over 3 generations of HVAC and Plumbing experience. Our goal is to provide you with professional, courteous service at a fair price. We strive to build continuous long term business relationships with our customers. The proof is in our many customers that have been with us for over 30 years!